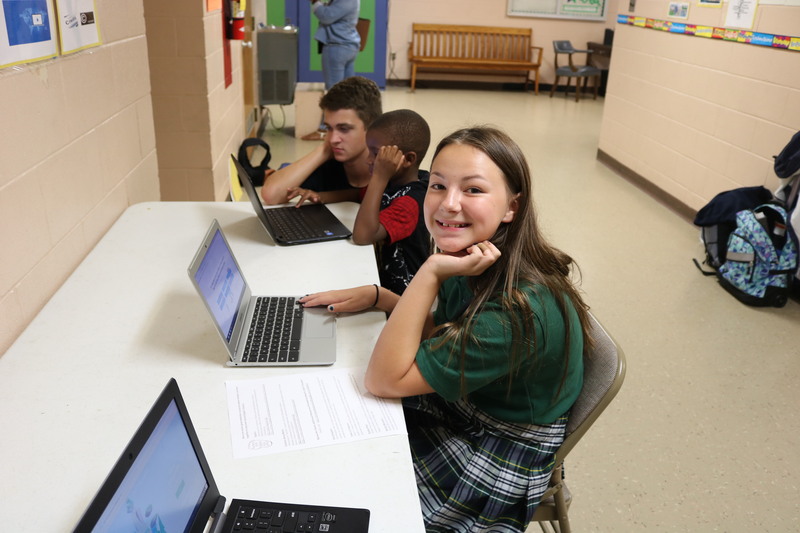 All Saints teachers and students hosted a different twist on back-to-school night with an opportunity for parents to visit students’ classrooms and learn how they experience math and reading instruction and how to support learning at home. Mrs. Williams’ middle school technology classes made presentations in the main hallway on how students can navigate the digital world in a safe, responsible and kind manner. Check out the photos HERE.